Lock in a great price for San Nectarios – rated 8.8 by recent guests! Great room. It is new, clean and it has amazing view with a great wifi signal. 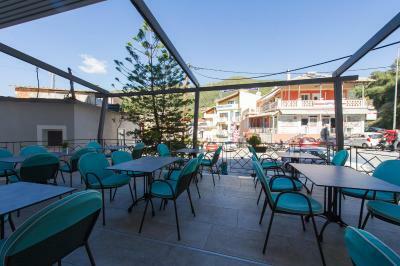 Everything was perfect, the room is excellent, clean and comfortable has a balcony with a view to the sea, the staff are super friendly and helpful, location is perfect in the center of Parga. We recommend to everyone who wants a wonderful vacation. The place looks basic on the outside but is renovated inside.Location isn't great, but okay is close to the small harbor which is very nice. We went Out of season so no breakfast which was trouble to look around for coffee in the morning. Very nice view from the room with sea view. Nice people, very clean. We had a great time. Staff friendly and helpful. Even before we got there I contacted the hotel by telephone and information was emailed to me very promptly. Loved our room wrap round balcony amazing views of town/castle, sea and mountains. Comfortable bed, refurbished ensuite . Breakfast was continental but very good. Great location easy walk to town and harbour. Supermarket across the road which was well stocked. 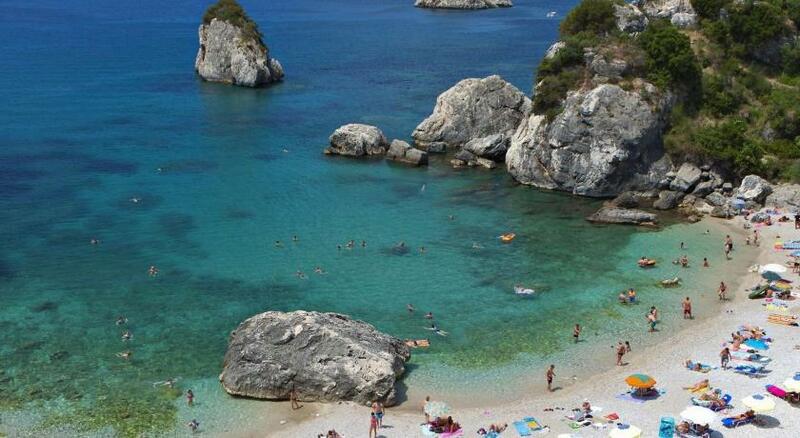 Very good location, just 2 mins walk to the heart of parga. Unlike most properties in Parga, the staff was very professional. Room was bright and large enough with a nice sea view. Great and helpful staff. Nice location. Clean. Satisfactory breakfast. The rooms were nice, the sea view also very nice. I recomand you to visit the places nearby :the castle, the Mary island, the Olive Factory - 5 Euros entrance that includes also a tasting of olive oils and pestos. For 14 Euros we visit the Aphrodita's cave (we were able to swim in the cave), Lichonos beach, Acheron river. Parga is amazing and the prices are not so expensive. The hotel is near the center town, near the beaches and supermarkets. There are a lot of good restaurants were you can eat (I recommand Stefanos Taverna- you will have a nice sea view of Valtos beach, Rudis Restaurant). We had a wonderful stay at the hotel. Our room was spotlessly clean with a balcony and sea view. The friendly helpful staff were delightful. 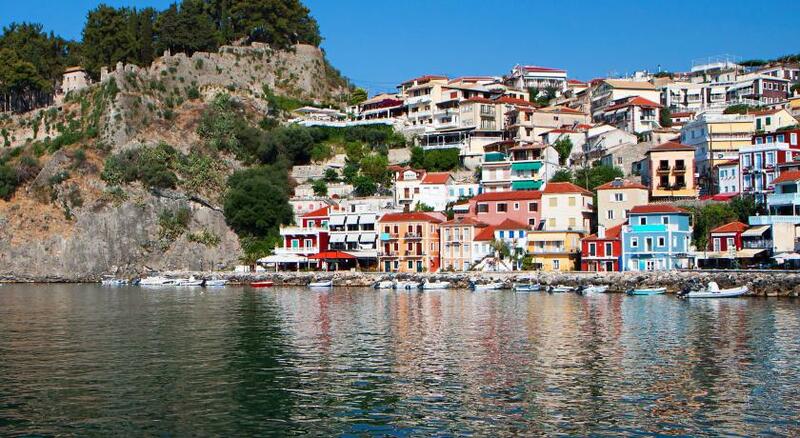 Location perfect for exploring Parga. Highly recommend. San Nectarios This rating is a reflection of how the property compares to the industry standard when it comes to price, facilities and services available. It's based on a self-evaluation by the property. Use this rating to help choose your stay! 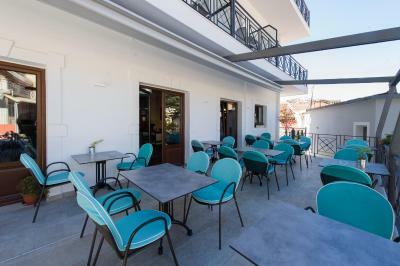 Hotel San Nectarios is a modern hotel in the center of the authentic Greek town of Parga, just 650 feet from the picturesque harbor and 2 excellent local beaches. The Venetian Castle is 2,300 feet away. 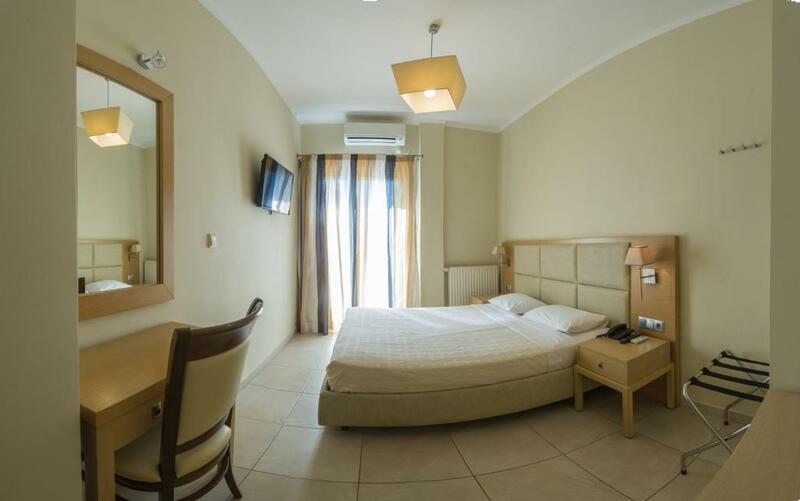 Hotel San Nectarios has rooms with attached bathroom with private balconies that offer views either of the surrounding hills or the sea and the Venetian Castle. The rooms are tastefully decorated and come with facilities such as air conditioning, 32-inch LCD TV and mini fridge. 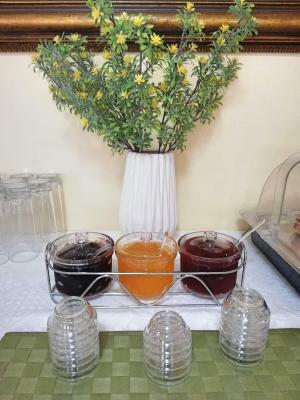 At San Nectarios you can start your day with continental breakfast, while a breakfast menu is also available. Later you can enjoy a coffee or a drink in the bar, which also offers free Wi-Fi access. 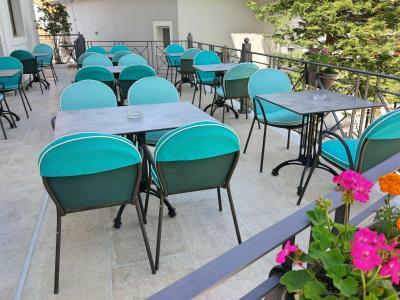 Guests can also benefit from discounted rates at Ponte Restaurant, in Parga's square. Parga’s relaxed atmosphere, traditional Greek architecture, beautiful coastline and tranquil mountain locations make it a great destination. In addition, it offers easy access to a number of islands, including Corfu and Lefkada. Valtos Beach is 0.9 mi away. When would you like to stay at San Nectarios? The room features air conditioning, refrigerator, safety box, TV, hairdryer and telephone. Please note that it is strictly for 2 people as it has one large double bed. This single room features a balcony, soundproofing and satellite TV. We are trying to keep a family like atmoshere for our clients in our hotel so that they feel like home as much as possible. House Rules San Nectarios takes special requests – add in the next step! San Nectarios accepts these cards and reserves the right to temporarily hold an amount prior to arrival. 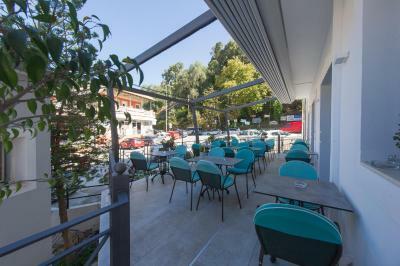 Guests are offered 10% discount at Ponte Restaurant from 18:00 to 20:30, which is located in the central square of Parga. Not very clean. Very small room and not comfortable for two persons. We have ordered coffees from the first day and until the lsst day were not collected by the cleaners. Balcony is small. 2 single beds instead of one double. During the day and at the beginning of the night, the noise made by scutters and traffic is a little disturbing.